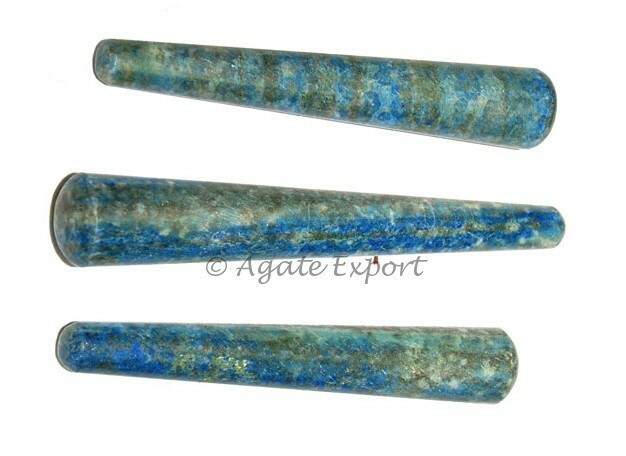 Agate Export brings Lapis Lazuli Smooth Massage Point for you. You can use it to heal yourself or others. It is 3-4in long.